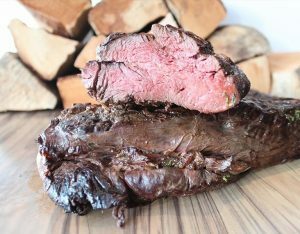 Do you fancy a juicy and well-prepared piece of beef tenderloin? Then there is good news! At Restaurant Ilden we have beef tenderloin on the grill from Monday to Wednesday (Every week). You can of course also freely choose from our other dishes – we always have at least 15 different kinds of meat in our buffet. Complete the dish with a delicious sauce and crispy salads. It is up to you what you eat with our popular beef tenderloin. Optionally, finish off the evening with a sweet touch from the dessert card. We look forward to seeing you at Restaurant Ilden in either Næstved, Roskilde or Copenhagen.